I love it when my Monday morning is really a Tuesday morning, dont you? Thank you Mr. Washington for the day off! So it snowed again over the weekend, something new and different aorund here. Not wanting to brave the snow and slush on Saturday morning I made muffins. First time I had used my muffin tins that I got for my shower over 2 years ago!?! I had to pull off the packaging and stickers, guess thats how often I bake. Except for last weekend when I made cookies, two weekends in a row, woah!! Watch out, next week I might just make something real fancy. And in other news I finally crossed over to the Apple dark side and got myself a MacBook! It is taking some getting used to, but so far so good. I'm really loving the simplicity of everything. But I am a total tech idiot- tell me oh wise ones, what do I need to know about my new laptop? Look at you, baking up a storm! Muffins, martinis...you're practically June Cleaver! Oh yum @ those drinks!!!! 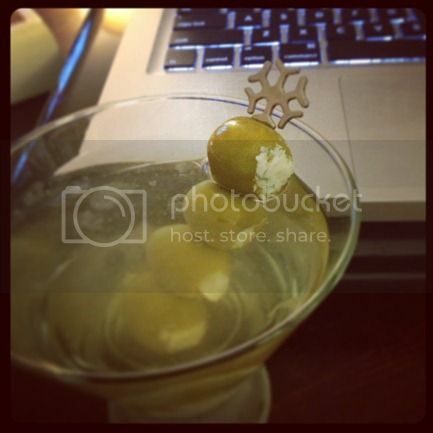 A 'dirty' martini with 2 jalapeno stuffed olives sounds delish about now!! (but I'll wait an hour and a half until its officially Happy Hour:) Must admit those blue cheese olives look pretty darn good;) I'm impressed you made them. Dan's always trying to get me to go to the dark side, so I look forward to hearing how you like it! Yummo! 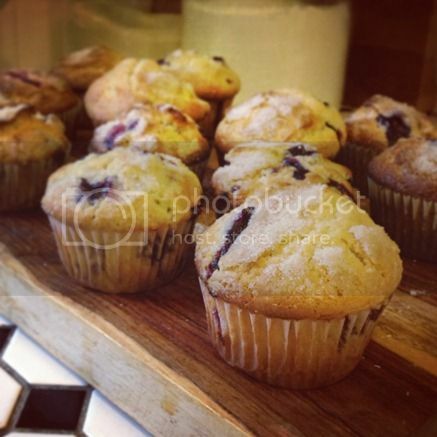 Those muffins look delish :) Total envy over the mac book, that think is a beaut! 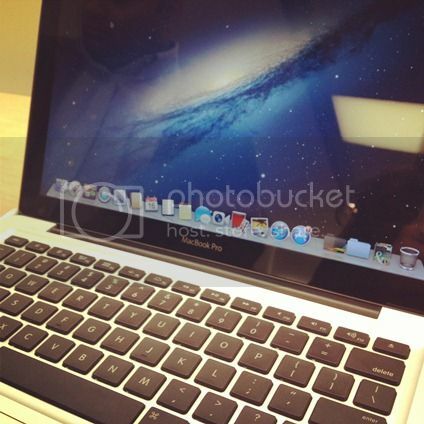 Youre going to love your MAC. good luck with the transition- you just have to think more simply and the apple language makes perfect sense. Pass that martini on over here-looks good. I'm Mac since 1989 - sheesh I am old! - and you will NEVER go back as someone already said. I got a MacBook for Christmas from my hubs and I LOVE carting it around the house and it's so much faster than my iMac. LOVE IT. Best tip - don't fight it, just love it.